Add Internal Pocket and Keys Keeper? Look classy wherever you go with our Driftwood leather tote bag. English Bridle straps give this bag a pop of color and ensure it looks great with any outfit without detracting from its overall polished appearance. I bought this as a gift for my girlfriend and she absolutely loves it. I actually got the color changed to English tan which is such a beautiful leather color. Popov had great service changing my order. I did make sure that I changed the color only after 2 days of ordering. Keep in mind these are made to order so I was able to catch them before my bag was started. I personally have the traditional tobacco leather wallet from Popov which is the best wallet I have ever purchased and I love the quality of their leather products and this bag is no different. So these are the comments from my girlfriend that you may find useful if you are looking to buy one. She said that the size is a perfect size for her. I bought her the regular size not the large one. She is about 5’ 1” so I think this is a good sized bag if you are an average sized woman. You can fit a 13” MacBook Pro in there with no issues. 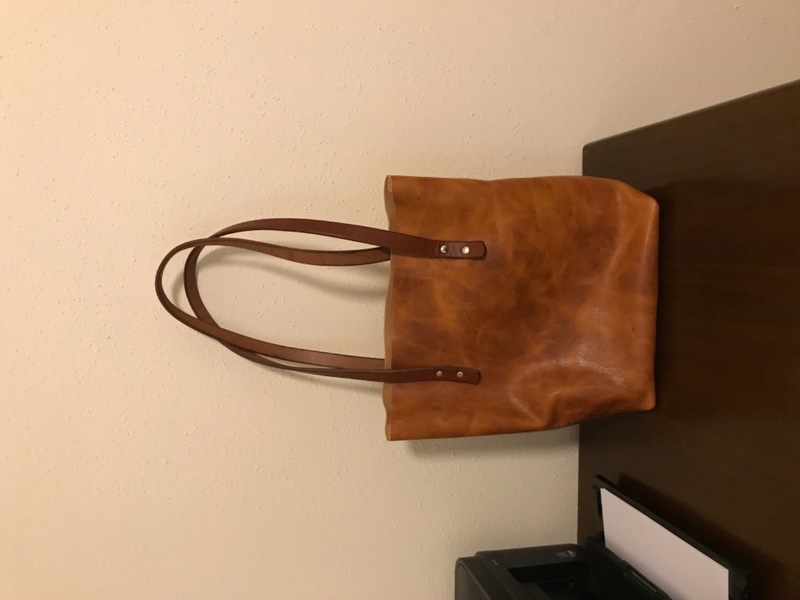 She also commented on how much she likes the shape of the bag and how to straps let the bag sit at the perfect height on her. Overall, I don’t think you can get much better bang for your buck. I mean if this bag is taken care of it could last a life time. And I feel like leather, in general, will never go out of style. So if you are considering one just pull the trigger because there is really no better bag out there for the money.